What better way to spend your island vacation than soaking up the sun on some of the best beaches in the world? On the island of St. John, there are more than a dozen fine beaches, each with its own unique offerings for the amateur or expert beach-goer. 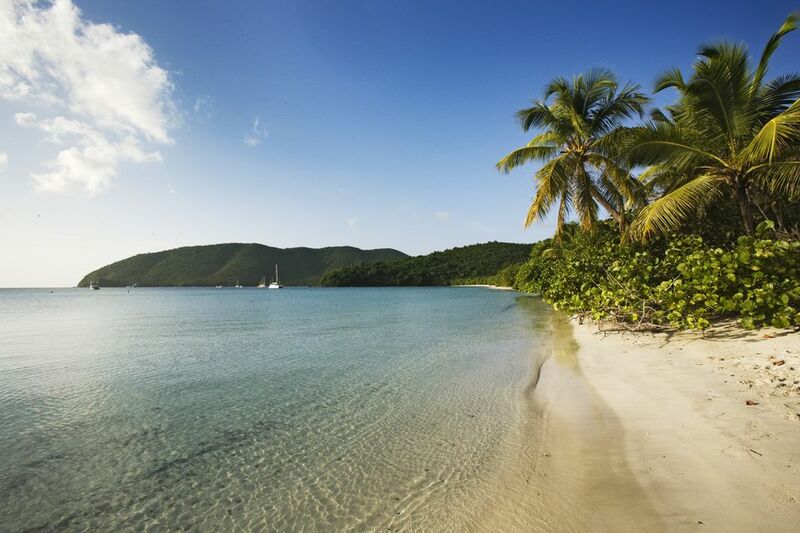 So sink your toes in the sand and get ready: here are some of the top beaches St. John, USVI, has to offer. Do you like to get active in the water? Is going to the beach about more than just laying in the sun for you? Then Cinnamon Bay Beach on St. John might just be a perfect fit. This beautiful beach is the location of the Cinnamon Bay campground, which provides inexpensive beachfront accommodations, and houses a variety of vendors offering different watersport activities, including kayaking, windsurfing, and diving equipment. You can also join a pickup volleyball game or hike the Cinnamon Bay nature trail. Close to Cruz Bay on St. John's north shore, Hawksnest Beach is popular with locals and families as well as tourists. With changing rooms, public picnic tables, enclosed areas, and bathrooms on site, Hawksnest is a great option for a relaxing day at the beach with the family or friends. Hawksnest also shares a cove with Oppenheimer Beach and Gibney Beach (see below), making it not only a great destination on its own​ but a perfect choice for travelers looking to explore a variety of beach locations in a single day on their St. John's trip. This calm roadside beach is great for kids and families. The beach is shaded by Maho Trees, a type of native hibiscus with heart-shaped leaves and yellow flowers that slightly resembles a coconut palm. Look for sea turtles while you swim in the shallow waters and swim alongside them - if you dare! A nearby trail also leads to the Maho Bay Camps, which offer tent lodging as well as beach apartments for those looking to stay overnight. Located on the north shore, Francis Bay Beach is one of the longest strands on St. John, and a mecca for beach walkers as well as sun-worshippers. The sunsets at this west-facing beach are fabulous. Snorkelers will encounter many tropical fish (and the seabirds that feed on them). The Francis Bay Trail is good for bird-watching, too, and with a wide beach regardless of tide and a big public parking lot, is a great destination for travelers of all interests looking for a fun day at one of the island's most diverse and beautiful beach spots. Part of Virgin Islands National Park, Trunk Bay is the most popular beach on St. John. The park's world-famous underwater snorkeling trail -- complete with interpretive signs -- begins here. You can also visit the Annaberg Sugar Plantation ruins during your day at the beach. With its white sand, bright blue waters, and verdant foliage, Trunk Bay is considered the most beautiful beach on St. John, despite the occasional crowds. One of four public beaches on Hawksnest Bay, Gibney Beach is a quiet strip of sand fringed by palm trees. The beach has a bohemian reputation and an interesting history -- part of the beach was once owned by Robert Oppenheimer, known as the father of the atomic bomb. Today, it's mostly owned by the U.S. National Park Service. This north shore hidden treasure is unmarked from the road, accessible only via a gravel path and on foot. There is a pair of tourist cottages that you can rent on the beach, too.